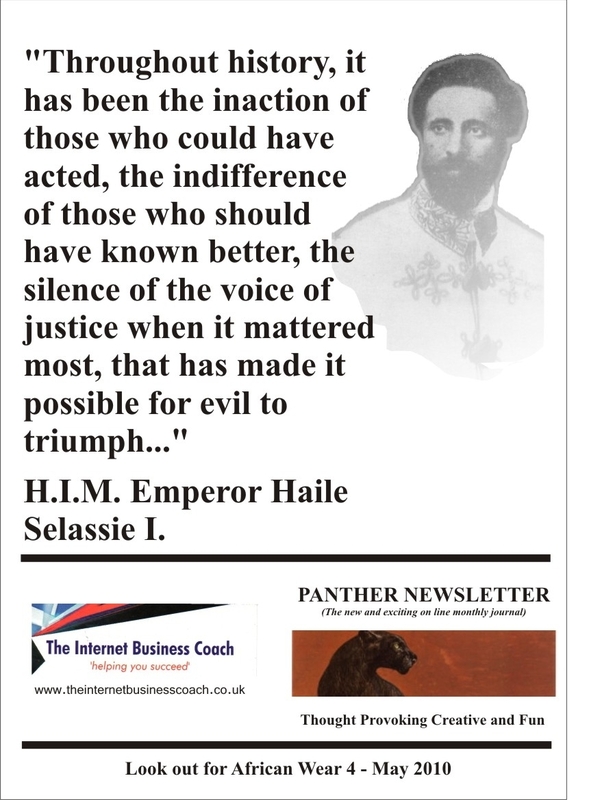 Welcome to Issue 4 of Panther News Letter; and special greetings goes out to our new readers in Jamaica, St Kitts and Nevis and Sierra Leone. Yes Kings and Queens, Panther News Letter gone outer-national! – Give Thanks. This month we have our usual suspects: ARTIST OF THE MONTH, THE FEATURED STORY, NORMSKIS ARTICLE and everybody’s favourite, THE CULTURE CORNER. Although Haiti has drifted from being national headline news, our brothers and sisters are still in our thoughts and prayers. Haiti was once the richest Island in the Caribbean; so what happened? This interesting article The Hate and the Quake written by Professor Hilary Beckles (University of the West Indies) gives us an insight. In Issue 5 of Panther News Letter, I’ll be hooking up with and interviewing my long time brethren from school days Marcus Simeon. Remember his name. 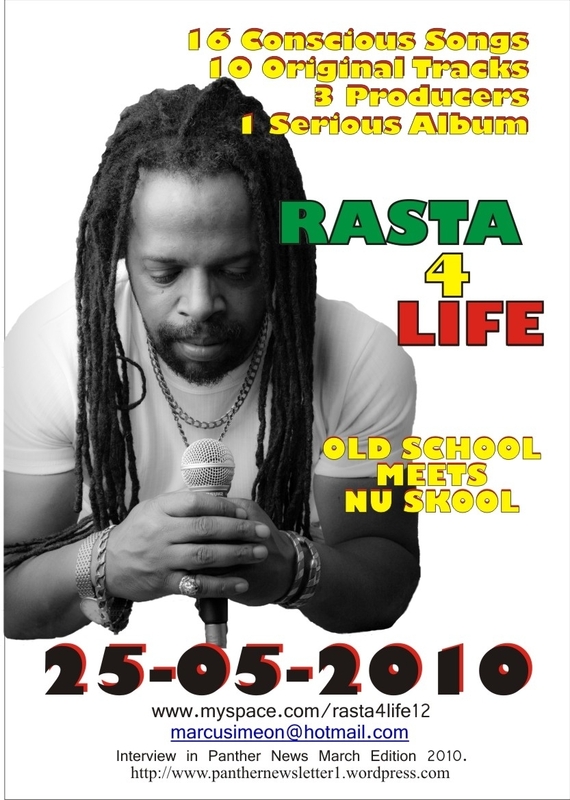 His new conscious album Rasta4Life (Old School meets Nu Skool) will be released May 25 2010. Look out for it! This entry was posted on February 28, 2010 at 3:04 pm and is filed under Articles, Black British Literature, Newsletter with tags Articles, Black British Literature, Newsletter. You can follow any responses to this entry through the RSS 2.0 feed. You can leave a response, or trackback from your own site.